Tired of holding your phone when watching videos? always dropping your phone on your face when using your phone in bed? You should try our LAZY-NECK™ Universal Flexible Phone Holder! 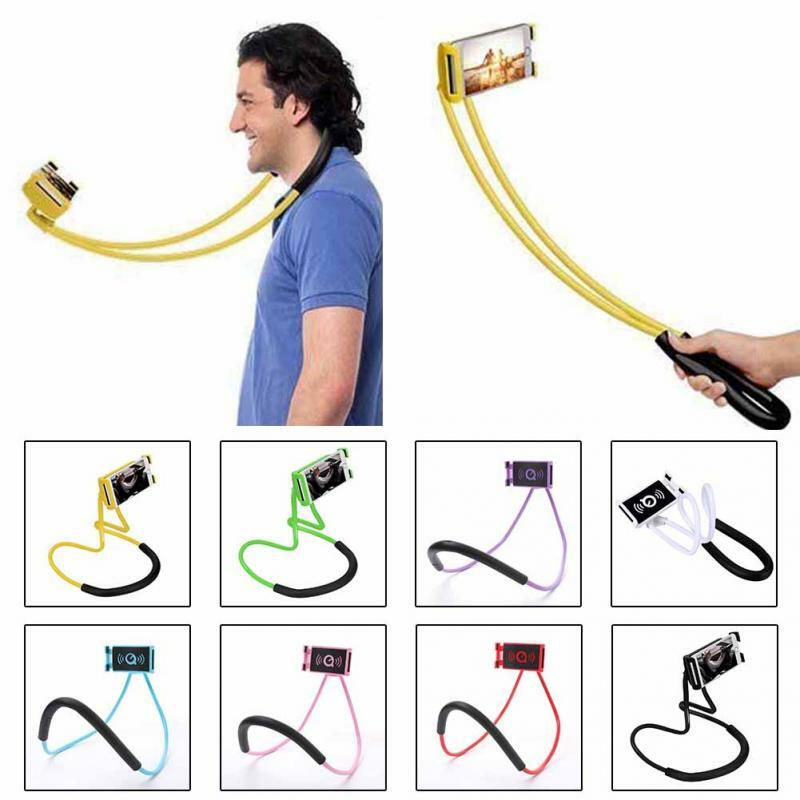 Strap it around your neck, use it as a live-streaming/selfie stick, put it on the desk, ground or kitchen counter, wrap it around your car steering wheel, bicycle handle bar or even work-out equipment! whatever the situation, our Lazy-Neck stand is the way to go! Unlike other lazy phone holder on the market, our holder is a sort of DIY gadget that is not only well made, but works amazingly! Strap it around your neck, use it as a live-streaming/selfie stick, put it on the desk, ground or kitchen counter, wrap it around your car steering wheel, bicycle handle bar or workout equipment, just to name a few. Whatever way you use it, the stand is the accessory every smartphone needs. We hope our product can add more fun to your life.